The original coureurs des bois (the runners of the woods) were French-Canadian woodsmen who ventured into the North American interior, trading goods with the native peoples in return for furs, learning their languages and cultural practices, sometimes taking native wives. Early on there was some official encouragement of this as the French, who claimed the territory, needed men who could negotiate with the indigenous peoples but as the authorities became more interested in matters of regulation and ownership, the coureurs des bois, unlicensed as they mostly were, pushed even deeper into the interior in an effort to circumvent the authorities’ attempts to curb their operations. They were explorers and adventurers, intensely romantic figures, often treated as outlaws, and some of them were probably crooks, though on occasion they could also be of use to the authorities. Above all, they were beholden to no one but themselves, careless of borders, able to travel swiftly, and mostly unremarked, thanks to their skills as woodsmen. The desire to explore the forbidden or the unknown, coupled with a need to pass through territory unobserved, permeates travelogues and spy stories. Explorers were almost by default spies as well: Richard Burton, the translator of A Thousand and One Nights, disguised himself in order to visit Mecca, while a number of Europeans disguised themselves in order to explore the Himalayan region, and the British government sent trained Indian surveyors into the region disguised as pandits in order to map the area. Such activities reached their literary apotheosis in Kipling’s Kim, which also popularised the term, ‘The Great Game’. Closer to home, closer in time, John Le Carré’s stories exemplify Cold War efforts to unobtrusively move information and people in and out of eastern Europe, across tightly monitored borders. With the arrival of the European Union and the Schengen Agreement, with most of Europe’s borders standing wide open, one might have supposed that crossing from one territory to another would become the easiest thing in the world, yet in the wake of 9/11 and the advent of the Global War on Terror, some borders have become ever more tightly controlled, governed by security operations that come perilously close to farce. And while in western Europe, demands for regional autonomy have, for the most part, led nowhere, despite, on occasion, intense bombing campaigns, further east, the former Soviet Union and its satellite nations are still dividing into a series of ever-smaller sovereign territories, each demanding recognition as an independent nation. One only needs to look at the current situation in the Ukraine to see how this might play out in the next few years, and to start wondering what that might mean for a Scottish bid for independence, the ramifications of which are already being discussed. And this by no means takes into account, for example, the demands of indigenous peoples round the world, who have found their land taken over by colonial powers. A number of Native American/First Nations tribes do not recognise federal boundaries that have been driven through their ancestral lands, while the Haudenosaunee (formerly the Iroquois) issue and attempt to travel with tribal passports, not always successfully aas lthough the documents are recognised, it depends on the cussedness of US border security). On top of that there has never ceased being a need for things, and sometimes people, to be moved around the world. Even now, there still exist what are called Queen’s Messengers, carrying documents too sensitive or too private to be committed even to diplomatic bags. Today on the radio I heard an interview with a man who carries donated stem cells from one hospital to another. Smuggling has never stopped, although these days it’s as likely to be people as cigarettes and alcohol that are being moved illegally. Journalist Glen Greenwald’s partner, David Miranda, was arrested and questioned as he passed through Heathrow, under suspicion that he was carrying documents illegally acquired by Edward Snowden. 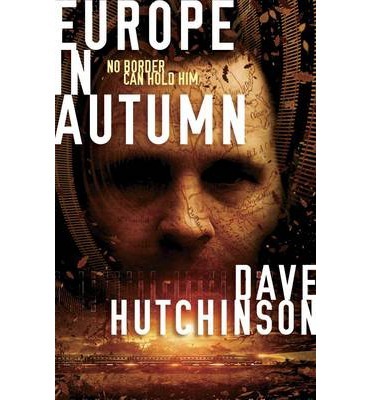 Europe in Autumn, Dave Hutchinson’s new novel, takes this situation to its furthest logical extent. Autumnal Europe is one in which the European Union has pretty much collapsed, taking with it the open-border idealism of the Schengen Agreement. Instead, as one character observes, “Europe sinks back into the eighteenth century” (18), fragmenting into a series of “quasi-national states” or polities, some of them stable, others lasting as long as autumn leaves. “I saw on the news last week that so far this year twelve new nations and sovereign states have come into being in Europe alone,” observes Dariusz. “And most of them won’t be here this time next year,” comments Rudi, who claims to have no opinion on the matter. “I’m a cook,” he says. “Not a politician” (17). This new imposition of borders, this shifting lattice of grudge and allegiance, brings with it new problems. It’s the same territory as before, only “More frontiers. More red tape. More borders. More border police” (18), and more difficulty in moving things around. As a consequence people like Dariusz – we might call them smugglers, crooks, gangsters; they might disagree with us – have to find new ways to transport things. The new coureurs des bois work much like their ancestors, except that they are shyer and rather more retiring. No one knows who they are, who runs them, or anything much else about them. They can be found when needed. When not needed, they fade quietly into the woodwork. Anyone who has read Le Carré will recognise what the coureurs are: an organisation of lamplighters, people who create legends, carry information; they facilitate. And indeed, there is more than a passing whiff of Le Carré about the coureurs, as Rudi himself notes. Rudi learns all this when he is recruited to their ranks. As a sort of favour to Max, his employer, and Dariusz, who runs the local protection racket and a few other things besides, Rudi,who carries an Estonian passport, which makes him rather more welcome in certain places than, say, Poles like Max and Dariusz has travelled into the city-state of Hindenberg to collect a message. His mission is successful and later Dariusz asks him “How would you like to do that kind of thing for a living?” (35). “I’m a chef. For a living.” replies Rudi, though he finally agrees to be a coureur as a hobby. “So long as it’s a well-paid sort of hobby.” In fact, it seems to be a remarkably well-paid sort of a hobby, so long as one doesn’t ask questions. And despite Rudi’s regular reaffirmation of himself as a chef, he takes to the work. He’s already served a long peripatetic apprenticeship, working his way through the restaurants of the Baltic states, having taught himself to cook as a child by watching English and Polish cookery shows (which in turn required him to teach himself English and Polish). He is utterly self-contained, a polity all of his own, within the city-state of a restaurant kitchen, so often presided over by a tyrant. He’s already learned to observe, to blend in, to accommodate the foibles of others, and knows when to say nothing. He is punctilious and precise, and has an almost instinctive ability to sense when something is not quite right. Added to that, in appearance he is, by his own admission, “not anything really” (19). In short, he is the pefect coureur. But the suspicious reader might perhaps be wondering by now whether this set-up isn’t all a little too perfect. Rudi himself acknowledges that the whole thing “smacked of cliché. Cloak and dagger, clandestine meetings on darkened streets in Central Europe” (29). Indeed, all it lacks is a faint hint of zither music for the cliché to be complete, but as Hutchinson is far too intelligent a writer to succumb to that sort of thing, one must and should conclude that he is up to something else. The question is, what? That is, however, a question that is not easily answered. Which, is, I have to say, one of the several great joys of this novel for me. Rudi’s wry commentary on the new milieu in which he finds himself is a delight. (Indeed, there is a sly humour at work throughout the novel, manifest in almost sotto voce asides that leave the reader thinking “did he really just says that?” and such miniature absurdities as the village-state run by fans of Gunther Grass – “Rudi was vaguely sorry that Grassheim had been reabsorbed by the Pomeranian Republic […] He really liked The Tin Drum” (27).) However, Rudi’s observations do raise some interesting points about what a reader might expect of a narrative that dresses itself in the costume of a spy novel, or indeed of an organisation that apparently models itself on a fiction. Should we read this as someone somewhere recognising that Le Carré’s fictional model of the Circus is so damn good they might as well put it to actual use, or is Hutchinson ever so gently pointing out that our perception of how the secret service works is shaped more by the fiction we can access than the reality we can never experience, with the underlying possibility that they might just be the same. Or is all of this a distraction from something else, a “legend” that Hutchinson himself is fabricating, to draw our attention away from something else? It is worth keeping that thought in mind as the story unfolds, though it is easy to be distracted not only by the descriptions of Rudi’s apprenticeship as a coureur in which he learns his new tradecraft, but by the account of his apprenticeship as a chef. The two are remarkably similar in their ways, and it’s not too much of a stretch to consider them as a form of commentary on Hutchinson’s own craft as a writer. He’s been writing for a long time, having already published four collections of stories by the time he was twenty-one, and then spending many years as a journalist. I first encountered his stories in the mid-1980s and even then they seemed to me to have an almost indefinable ‘rightness’ about them, something that emerged from a combination of well-crafted writing and a good eye for a “human” story, practiced but not polished to inhuman perfection. That sense of “rightness” has matured beautifully in the last thirty or so years and is very much on show in this novel, from the long opening sequence as Rudi and Max, his employer, deal with a group of badly-behaved Hungarian gangsters who really only want a little respect, in spite of their table manners, to the unexpected jump-cut as the story shifts forward to Rudi’s being recruited to collect a message, all this interlaced with Rudi’s memories of his long and difficult apprenticeship in Max’s own kitchen, ruled over by the implacable Pani Stasia. It takes courage, but also a writerly certainty, to commit something like that to paper but there is no trace of arrogance in Hutchinson’s work. As Rudi cooks, so Hutchinson writes, and the story unfolds. The pacing is also interesting. From the early chapters with their slow unfolding of a wealth of detail, we move more rapidly through a series of missions which display the variety in the work that Rudi undertakes. He is still a chef even if he no longer cooks. He is good at what he does, he earns a decent living, he tries not to worry too much when things go wrong, though it is of course in the failures that the story lies. By this time we might dismiss the novel as a series of adventure episodes, with Rudi hopping across Europe under a series of aliases. They’re very good adventures, no denying it, but a whole novel of this might eventually become … well, boring, even though Hutchinson has a neatly compressed way of showing how time passes, Rudi’s technical skills improve, the world changes, and so on, all without making a fetish out of the history or the tradecraft. Were this simply an adventure the narrative would demand that something go cataclysmically wrong, and indeed it does – insofar as finding the severed head of a man in a left-luggage locker is ever anything other than wrong – but because this novel was never just about the future of spying tradecraft, if indeed it was ever really about that to begin with, when things go wrong, Rudi goes on furlough, and visits his family back in Estonia. In terms of storytelling this might be regarded as slightly strange but within the terms of this novel, it fits perfectly, not least because it turns the reader’s attention more fully to the reasons why the coureurs are needed in the first place, and the complex politics of a post-EU Europe, in which territorial identity takes on an ever-deeper significance, more so as the territories become ever smaller. This by no means a new phenomenon – colonisation has occurred ever since humans plucked up enough courage to sail out of sight of land, and there has always been a cost to those who hadn’t realised their home was quite so desirable to others, and never mind the fact that they were already in residence – but autumnal Europe has reached the stage where declaring independence might be the only way to protect, say, a national park, rather as if the National Trust were to attempt to turn the Lake District into a polity. This is precisely what Rudi’s father seeks to do, only Rudi isn’t there to see the resulting bloodbath as he is, unexpectedly, inexplicably, ‘rescued’ by British forces, and finds himself detained in London for no reason he can determine. The London episode is the most enigmatic portion of the novel. If the rest of the narrative involves travel, movement, action, then this London sojourn seems most notable for its lack of incident. Rudi is not exactly imprisoned in a set of chambers somewhere off Fleet Street, but neither is he entirely free to go. And for his own part he is content to watch until a moment of epiphany reveals the way forward; it’s an unexpected way, one that doesn’t make much sense until a long time later, and it shifts the novel’s dynamic entirely. Were it not that Hutchinson is such a good craftsman I’d be questioning this apparent longueur. Instead, I read it as the novel’s hinge, the point where the narrative changes direction entirely, a necessary moment of reflection while Rudi considers what brought him thus far. And here it is impossible to deny that the novel has now moved far beyond the conventional narratives of Le Carré, into altogether stranger territory, somewhat akin to that of the Great Game, or maybe a pithier (a much, much pithier) version of Neal Stephenson’s work, or Tim Powers’ Declare, as Rudi and his team (he has a team now, just a small one) uncover the existence of an alternative world, an invisible territory, that hides pretty much in plain view, mapped by its discoverer, and precisely the kind of thing the Coureurs need in order to maintain their service, except that the coureurs are rank amateurs, up against a far, far older network. At which point, the reader might be thinking, “hang on, why didn’t I notice that before?” To which the answer must surely be, because the author didn’t want you to, and he is extremely good at what he does. Now I am a sucker for a well-executed secret history, and equally so for a cartographic mystery, so this latter section of the novel more than adequately scratches a few of my literary itches. For some, though, I can see that it might appear that the narrative has finally gone altogether off-piste. And yet, I draw your attention once again to the work of the original coureurs des bois, travelling into the unmapped interior of North America. Unmapped by the white incomers yes, but familiar terrain to its residents, the indigenous peoples, who mapped it through story and song, and considered the idea of “ownership” to be utterly bizarre. Yes, each tribal band had its ancestral lands, confirmed through occupation and usage, but the western concept of sovereign territory was anathema to them. This is not to say that everyone could freely cross their land but the underlying philosophy was not predicated on ownership. The coureurs formed a loose-knit community of their own as well as participating in a wider community linked by bonds of kinship rather than land. One might see the latter-day coureurs in a not dissimilar light. Yes, some of them at least are in it for the money or to further criminal ends but there is seemingly an underlying Schengen-inspired philosophy, to keep those borders open. Yet, what if the coureurs have already long since been infiltrated by government departments, their studied neutrality nothing but a front? What then? Or if other players are involved as well? This is on one level a novel pieced together from apparently meaningless Situations which may or may not have a connection to one another, each executed in tiny, rigidly defined territories that refuse all but the barest connections with one another, other than that of lines drawn on a map. And yet it is an intensely layered narrative. Each revelation brings with it another layer of mystery, as though one is unpacking a set of nested boxes, with no centre in sight. If the situation was complex at the beginning of the novel, it’s more even more complicated by the end. The tantalising thought of a secret country with the concomitant prospect of free movement across Europe dangles enticingly before us and yet there are clearly other consequences to consider. How might one defend that freedom other than by fiercely protecting those boundaries that are not boundaries in the conventional sense? Which are questions for the sequel that is hinted at and which I very much hope will appear in due course. For now, though, we have to be content with Europe in Autumn. Luckily, it is the kind of novel that repays more than one reading: one reading to appreciate the plot, another for the writing, a third to figure out what you missed the first two times, a fourth to admire the sheer beauty of how everything fits together, and maybe another to consider the profound issues concerning sovereignty and territory, and so on. I talked earlier of its “rightness” as a piece of fiction and I come back to that finally. This is a deceptive piece of work, seemingly straightforward, but intricately layered. The closer you examine it, the more (and yet less) of itself it reveals. I like fiction that challenges as well as entertains, and this more than fits the bill. It tells an absorbing story in a clever and satisfying way, on the assumption it is talking to intelligent readers willing to do some of the work rather than having it all spelled out for them. And really, what more can one ask for? Which is why, among other things, I shall be nominating this for the BSFA and Hugo Awards next year, and hoping to see it on the Clarke shortlist, because, yes, it is that good. 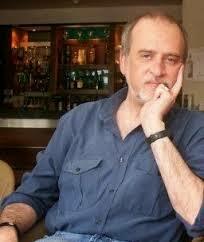 This entry was posted in fiction, reviews and tagged dave hutchinson on May 25, 2014 by maureenkspeller.